This crystal prism light pull or fan pull will bring sparkle to your home or office! 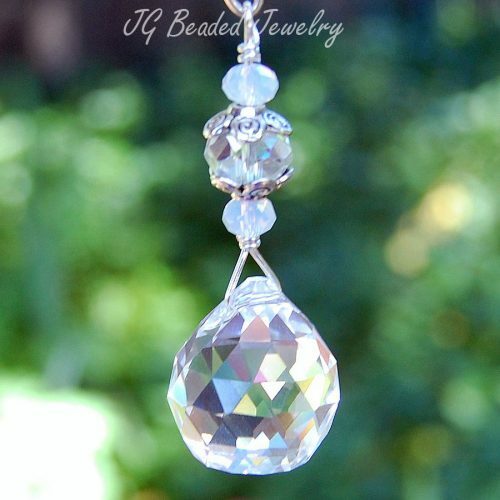 The crystal prism easily attaches to the existing pull chain of your ceiling light or fan chain! Rainbows will splash around the room when in direct sunlight! Swarovski is known worldwide for quality, precision cut, and flawless crystals – they are the best of the best! 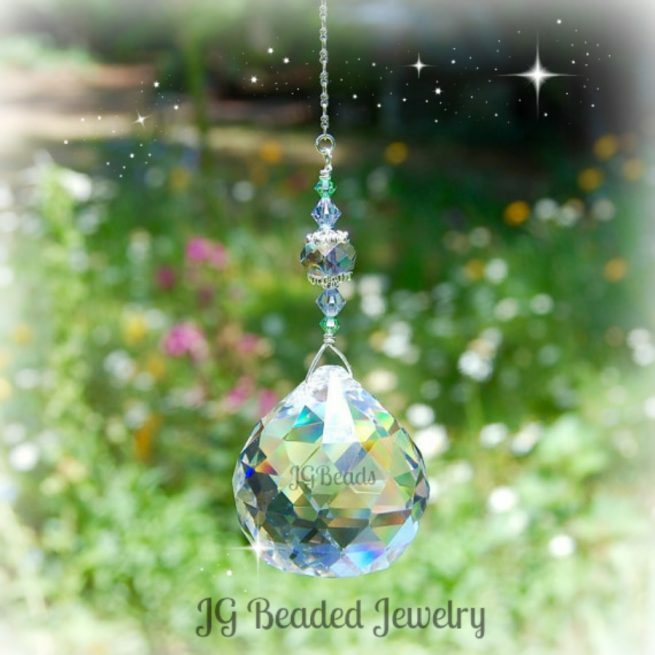 The crystal prism is wire wrapped by hand with silver wire for strength and attention to detail. 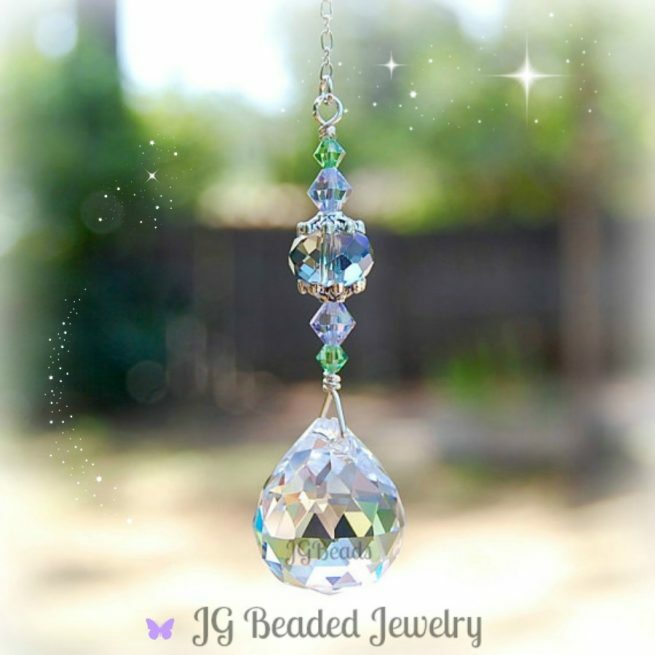 It is embellished with gorgeous peridot green and lavender purple Swarovski crystals, fancy silver bead caps and a gray faceted crystal that has purple/golden hues. 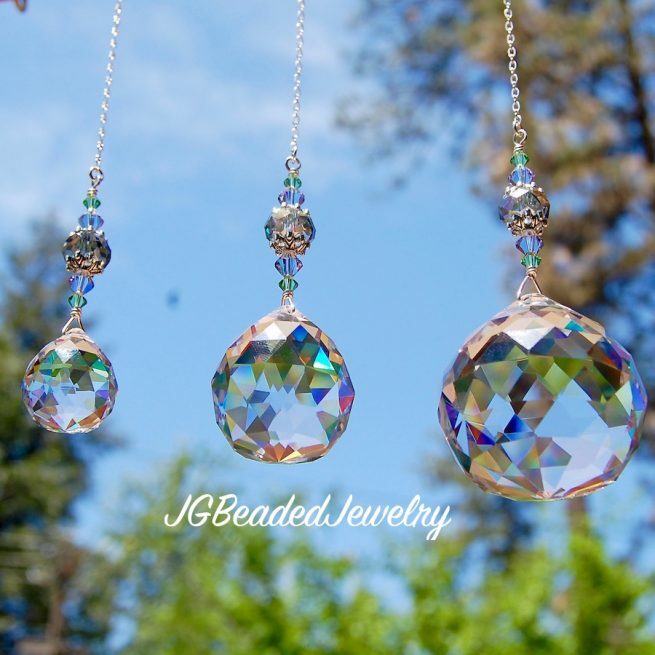 The crystal prism comes on a 6″ silver ball chain with connector for easy attachment to your existing pull chain. 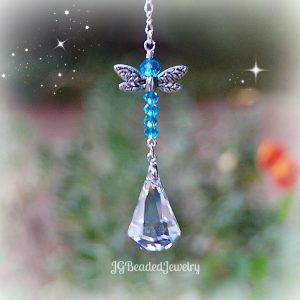 If you would like a different chain length, more crystal prism light pulls than the quantity available or alternate color Swarovski crystals – please contact us with your request! ♥ Choose from prism sizes of 20mm, 30mm or 40mm. 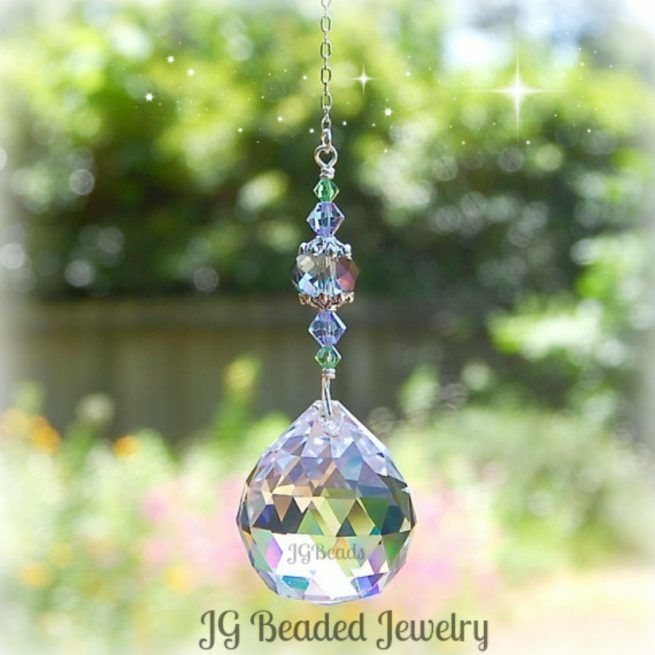 ♥ This crystal prism is also available for the rearview mirror or as a window crystal suncatcher!